The Nordic region's biggest financial group, Nordea, has announced that it will move its headquarters from Stockholm to Helsinki. Predictably, this move has triggered polarizing reactions in Finland and Sweden. After almost six months of strained hesitation, Swedish-based Nordea will move its head office to Finland in a much-anticipated merger with its newly created Finnish subsidiary, Finnish national broadcaster Yle reported. Although the move is not expected to affect regular customers or operations in the Nordic region, it nevertheless has important implications and consequences. Nordea suggested that the main deciding factor was Finland's membership in the EU banking union, which was set up in 2012 after a major eurozone crisis. At present, Finland is the only Nordic country to have signed the agreement, although Sweden and Denmark earlier this summer signaled their desire to join the union. With this move, Nordea is hoping to save up to a billion euros and eventually even more. Nordea's exodus was ascribed to the Swedish government's threats to further raise the so-called "resolution fee" charged from banks for later use in case of a banking crisis. Many banking experts claimed it was really a disguised tax funneled straight into the treasury. According to the Swedish newspaper Svenska Dagbladet, the move will more than double Finland's total banking assets to four times the country's GDP, effectively making Finland's banking system one of Europe's largest. This would be a welcomed prestige gain for the Nordic country whose economy has suffered greatly in recent years, particularly as a result of the decline of telecom giant Nokia. In Finland, the message about Nordea's transfer was welcomed with overwhelming joy by, among others, Prime Minister Juha Sipilä in his Bjälbo residence and Finance Minister Petteri Orpo in a tweet. Welcome to Finland #Nordea HQ. Finland's membership in the #BankingUnion provides a stable business environment. ​Nordea Finland board chairman Björn Wahlroos argued that this decision is in the best interest of Nordea's customers, shareholders and employees due to the banking union's level playing field and predictable regulatory environment. Nordea CEO Casper von Koskull, incidentally a Finn, pledged that the company would maintain its current Nordic operating model, remaining "relentlessly committed" to all of its four home markets. With the move, one of Sweden's largest taxpayers has disappeared from the country. According to Swedish national broadcaster SVT, Nordea paid 1.7 billion SEK ($210 million) in taxes in 2014. Only Swedish fast-fashion giant H&M paid more in taxes that year. Anna Storåkers, Nordea Sweden's CEO, denied any speculations of tax evasion, pledging to pay taxes the same way as before. Nevertheless, the move implies a significant drop on the list of Europe's largest banking sectors for Sweden. Additionally, Sweden loses the opportunity of deciding how to handle the bank in times of crisis. Furthermore, about 100 jobs will be relocated to Helsinki. Swedish Finance Minister Magdalena Andersson called the decision "regrettable," yet warned against exaggerating its consequences. Earlier this year, she argued that Nordea's relocation was "beneficial" for the country's economy as it allegedly minimized risk for taxpayers in the event of a crash. 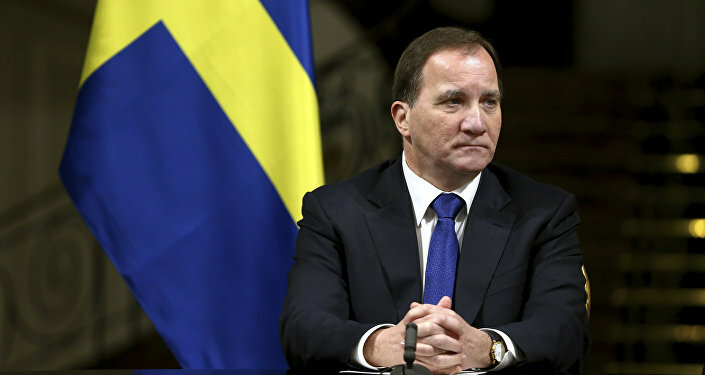 Andersson's take was severely rebuked by oppositional politicians, including Liberal leader Jan Björklund, who accused Sweden's red-green coalition government of failing to understand the rules of entrepreneurship. Christoffer Fjellner of the Conservative party sarcastically congratulated Andersson on Nordea's departure and asked her to "kindly repeat the benefits" of this move. Nordea was originally formed in 1995 through the merger of Finland's Merita Bank with Sweden's Nordbanken, Norway's Kreditkassen and Denmark's Unibank. The bank is present in 19 countries around the world, yet is mostly focused on the Nordic and the Baltic regions and is listed on stock exchanges in Copenhagen, Helsinki and Stockholm. At present, Nordea serves 11 million private and 700,000 corporate customers.